To start, I primed the mini with Citadel Chaos Black and then touched up any areas where the spray didn't hit (which was a lot). 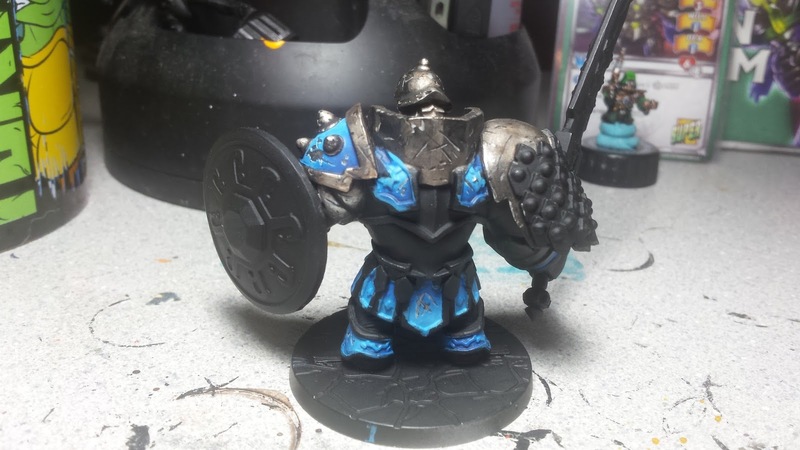 Sometimes I really don't care for Super Dungeon minis being fully assembled. 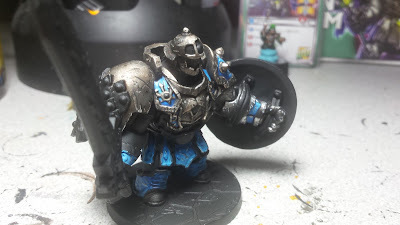 came in and I used examples of NMM silver to decide where to place the white areas. Next up, I used a couple rather thinned down coat of Citadel Leadbelcher over the black and white surfaces. This was followed by a blend of Vallejo Black and Leadbelcher in the darker recesses to add depth. From there I highlighted the areas that were originally white with thinned Citadel Ironbreaker and did a little blending into the Leadbelcher coat underneath to give it a smoother transition. Some areas got 1-2 coats, while lighter areas got more, depending on the lighting. Finally the very lightest parts as well as any hard edges that would reflect were painted with a few thin coats of Stormhost Silver. The reflecting edges actually were painted with a little bit thicker coat due to the need to keep it from randomly flowing into areas I didn't want it to go. With the surfaces done it was time to start with the wear and tear. As of right now, I am only going to do dings and scratches, I haven't decided on rust streaks or other corrosion. So far, the surface has a lot going on, and I don't know if adding in anything more would be overkill or not. We'll see how I feel once the whole model is finished. 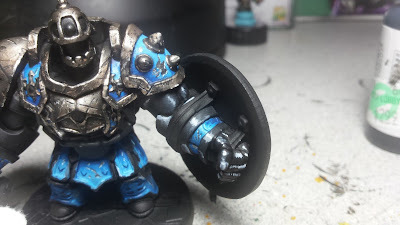 After the scratches were added to the metal armor, I did a couple thin glazes of Argax Earthshade on them to add in a little bit of color, other than silver to the surfaces. That's all for now, He's been a slow going project, but he's really taking shape. 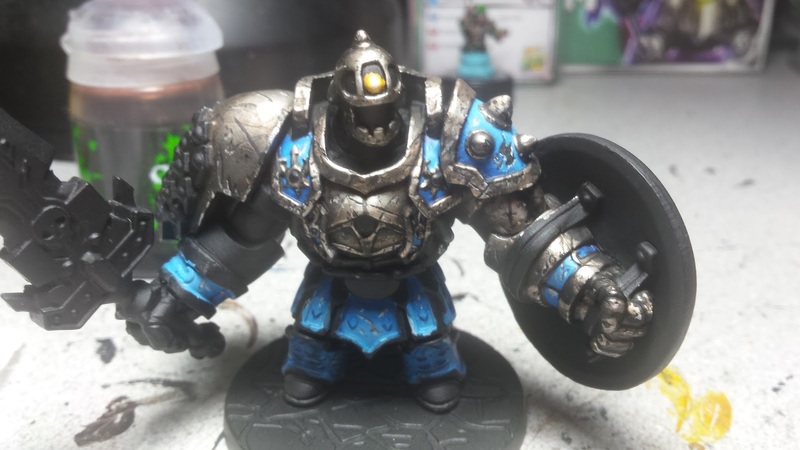 I think I may have legitimately upped my TMM game on this guy and who knew that it would be from mimicing NMM style.